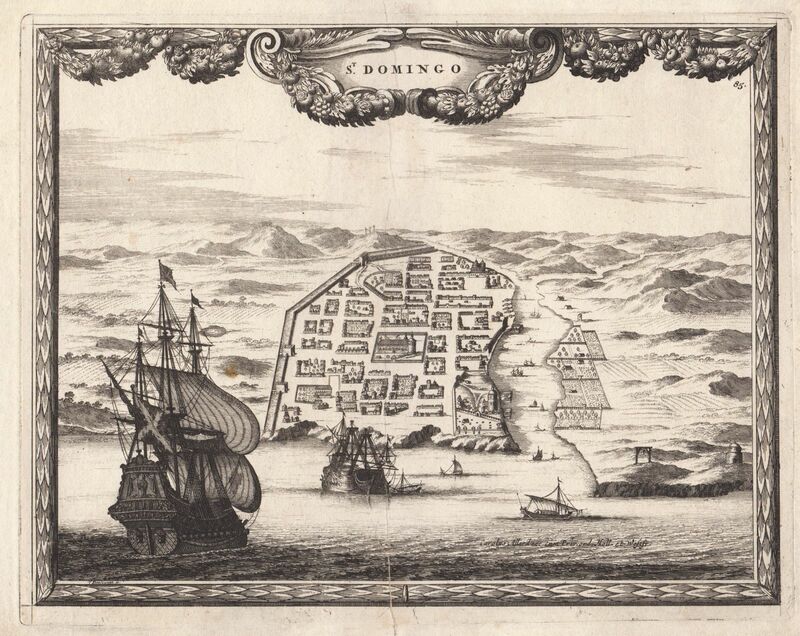 A rare early view of Santo Domingo, from Carel Allard's book of town views, Orbis Habitabilis oppida. Galleons and other vessels approach the harbor, with the cathedral square at the center of the walled town and gallows on the eastern shore of Ozama River. The scene is enclosed in a decorative "frame" with a garlanded cartouche at the top. Size: 10 3/4" x 8 3/8"